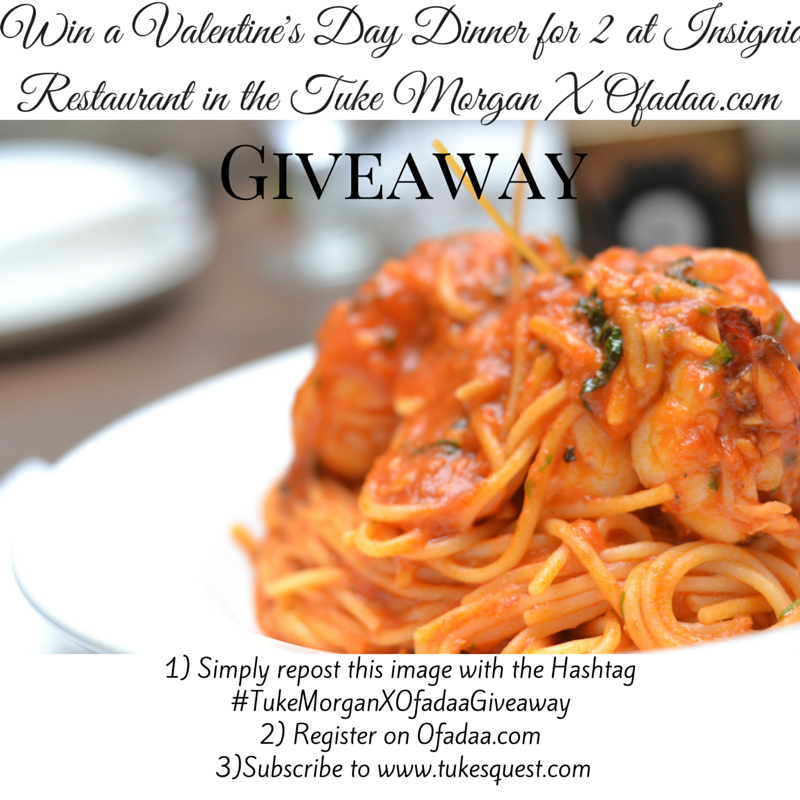 The Valentine's Day Giveaway which I mentioned in this post is finally here, Woohoo!! It's in collaboration with Ofadaa.com, a platform which helps you discover the best restaurants to eat with up to date comprehensive dining information, average costs, reviews and ratings on restaurants in Lagos, Abuja, Port Harcourt and Ibadan. Now, unto the giveaway. A party of 2 will win a Three Course Meal at Insignia Restaurant which I reviewed here. The winner will also get a free bottle of Martini Sparkling wine. P.S. Kindly leave a comment with your email address and Instagram handle so we can confirm that you fulfilled all requirements. I am entering for this. I hope i win. i just entered for the giveaway. I have submitted my entry.. The giveaway is now closed and the winner has been announced. Thank you to everyone who entered it.